Fear is an emotion. We imagine harm in the future. That thought triggers physical changes: fast heartbeat, headache, irritability, rapid breathing, sweating, trembling, muscle tension and more. Most of us know these symptoms from personal experience…but did you know that you can train your emotions? Barbra shared how her experience helped her to find her own inner compass and ask 1) What do I have control of? and 2) What do I love? Much of Barbra’s teaching is on training human emotion and I know from personal experience that one tip can make a huge difference. Do you deal with fear? Did you miss the live seminar last night? Great news! You can listen to the whole thing right now at the click of a button. You might want to go ahead and download it…we talked and then answered questions for almost two hours! Click here for a link to listen right now or download for later. Be sure that you check out the free download in the top left corner called the “Relationship Roadmap” and if you liked what you heard and want to learn more about “Letting Go of What Other People Think” consider taking a look at Barbra’s Workshop designed to gently walk you through subtle shifts in how you think about yourself and your relationships. ← How much is one good tip worth? Why was Stacy running her fingers through Roxy's mane? I am having difficulty finding the link to listen to the download as noted above. Can anyone help me with this. I would really love to hear this topic!!! Awesome! Thank you so much. I will give it a try! Hi Stacy, this was so special. This is from 2 gals who who have walked the talk. This is so horse/horseman specific. We know that you two understand the various kinds of fear that we deal with…and it can vary greatly. Thank you. P.S. 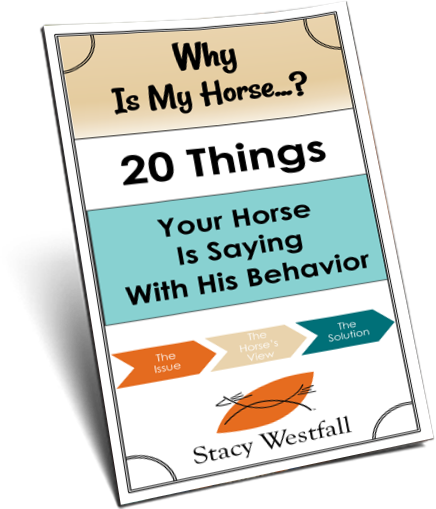 Something that I have used when I am working with horses, especially young, green or ones with issues. 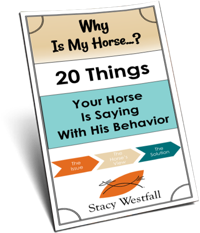 When I enter the round pen or ring, I pause at the gate and as I close the gate, the rest of the my world is on the outside— no other life issues can come through that gate with me and my equine partner, friend or student. From there on it is focus and above all BREATHE, smile and enjoy. Listened last night. I liked the venue. Very insightful and helpful info. Thank you.